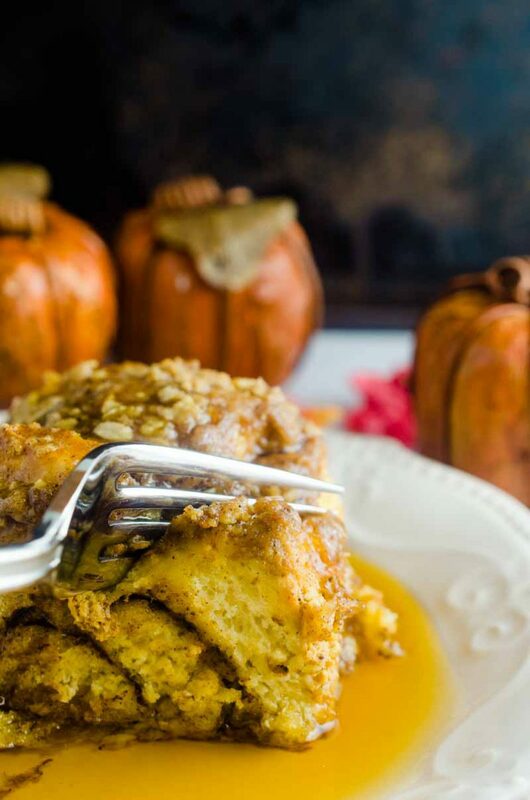 This Pumpkin French Toast Casserole just screams fall Sunday morning. The use of prepackaged cinnamon rolls makes it a snap to put together too! 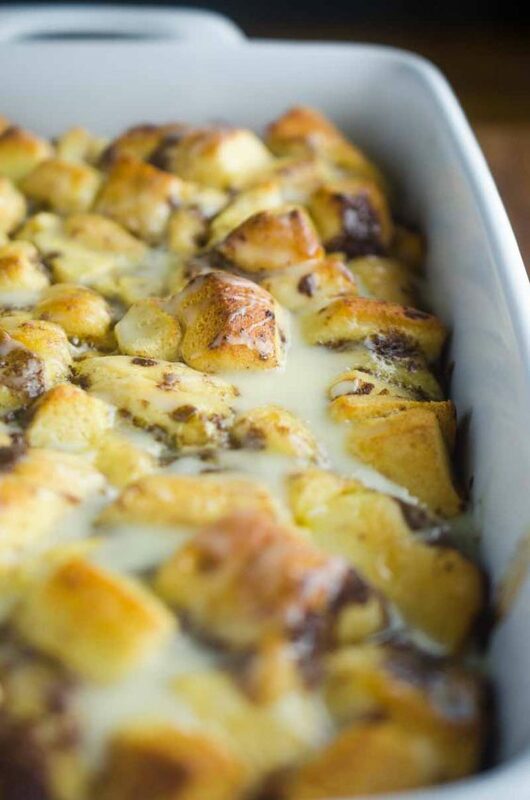 After making this eggnog french toast casserole last Christmas, I just knew that I had to make a fall version too. 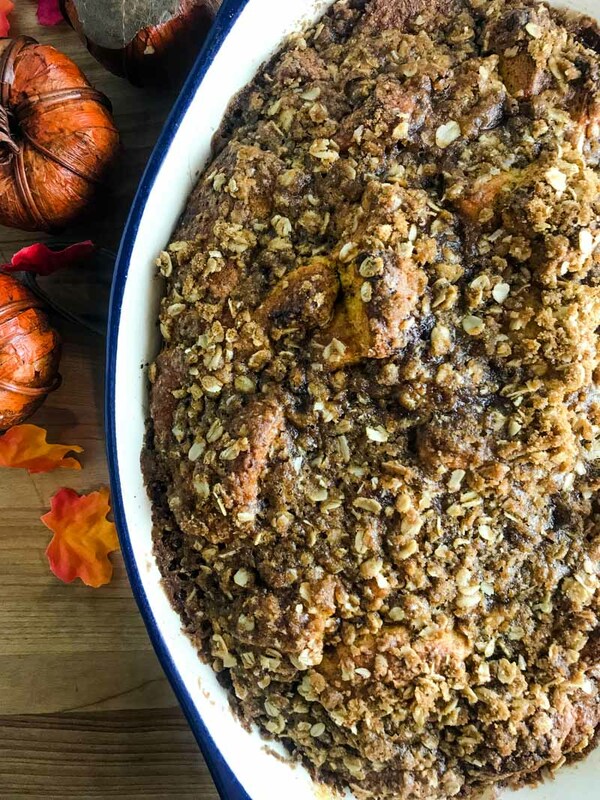 Like the eggnog version, this Pumpkin French Toast Casserole uses store bought cinnamon rolls to make things that much easier. And I mean, you really can’t go wrong with cinnamon rolls. AMIRIGHT? When it comes to weekend breakfasts, my family is a creature of habit. Sunday is our savory breakfast day where you’ll find scrambled eggs, bacon, sausage and hash browns. Saturday morning around these parts are sweet breakfast mornings. More often than not we are eating these fabulous Buttermilk Waffles from Completely Delicious. 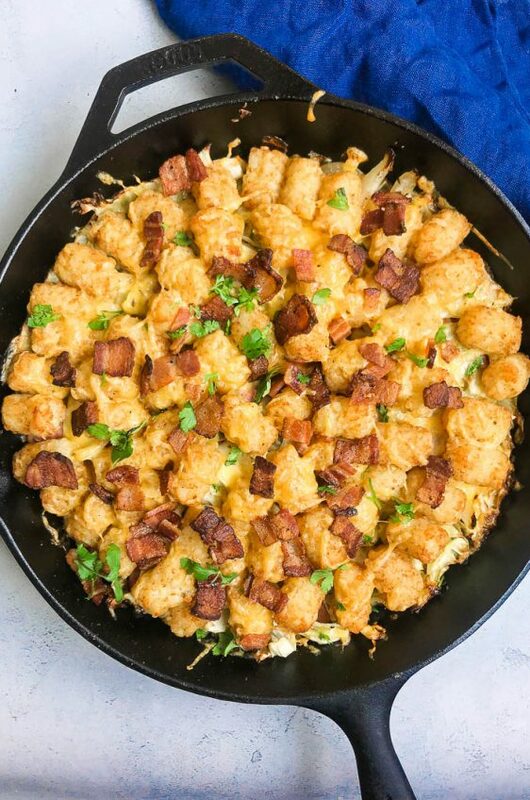 But every so often, I like to switch things up and make something like this breakfast casserole. 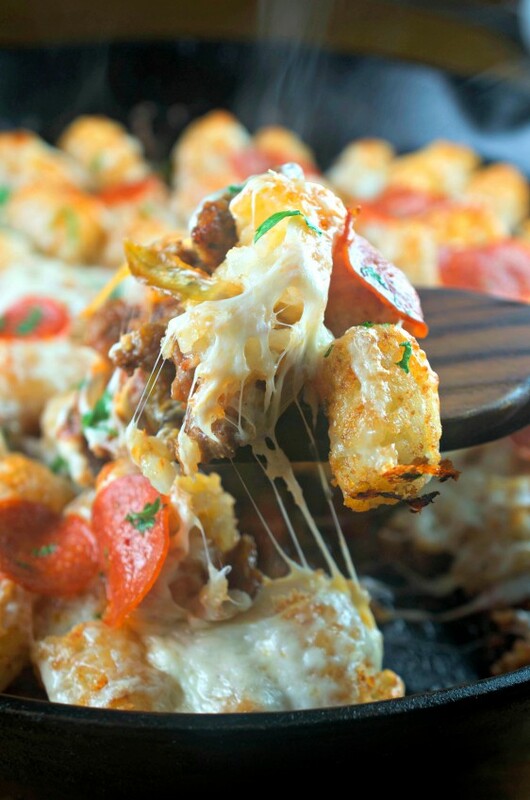 I love making casseroles in the morning because you can just throw everything together in the casserole dish, pop it in the oven and then relax with a cup of coffee and a good book while it cooks. 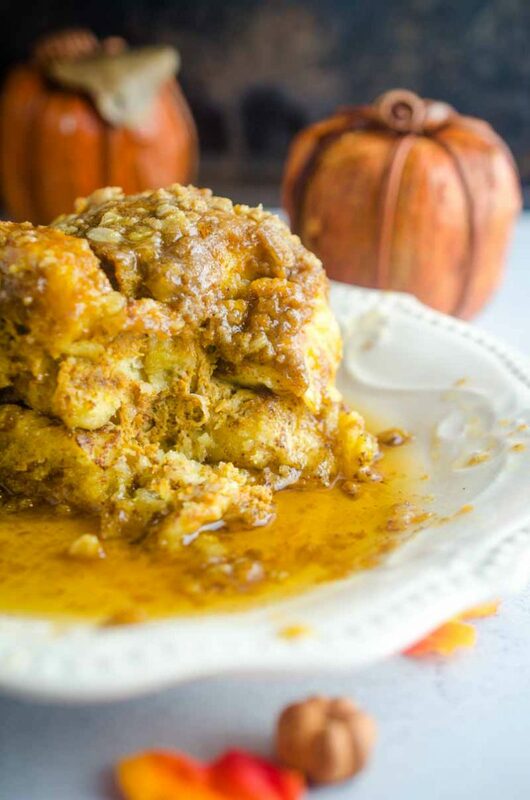 This Pumpkin French Toast Casserole is no exception. It can be put together in a snap and then done in about 40. Giving you plenty of time to enjoy that cup of coffee and that book. And guys, the scent coming from the oven as this baby cooks is pure bliss. I mean, cinnamon and pumpkin. How can you go wrong? 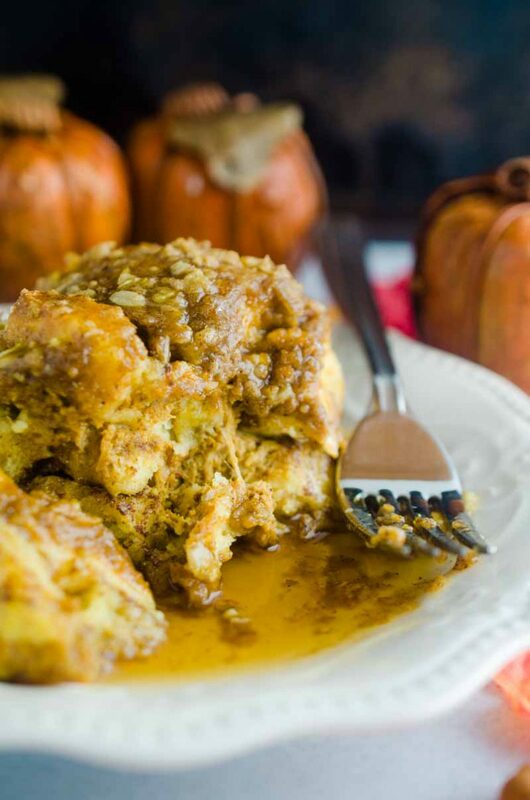 How do you make easy pumpkin french toast casserole? The casserole itself is really easy to put together. 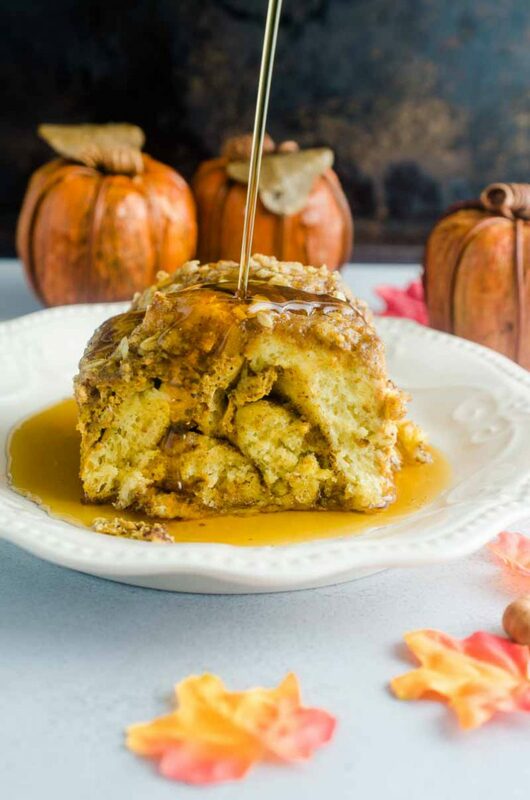 You simply cut up refrigerated cinnamon rolls (think Pilsbury), whisk together some pumpkin eggs and seasonings and pour that over the top. The most difficult part, and by difficult I mean not difficult at all really, is making the crumb topping. Again, easy peasy. Flour, oats, butter and seasonings. I like to use cold butter to mix with the other ingredients. You can mix it with your hands or use a pastry cutter. You want it to be crumbly so that you get that buttery crisp topping after baking. And of course, you can’t forget the drizzle of warm maple syrup to finish it off. Preheat oven to 350 degrees. Butter a 2 quart casserole pan. Cut each cinnamon roll into 6 pieces and scatter in pan. In a bowl whisk together eggs, pumpkin puree, milk and 2 teaspoons pumpkin pie spice. Pour over the top of cinnamon rolls. In another bowl combine crumb topping ingredients. Use a pastry cutter to cut butter into other ingredients until mixture is crumbly. Sprinkle crumble over the top of casserole. 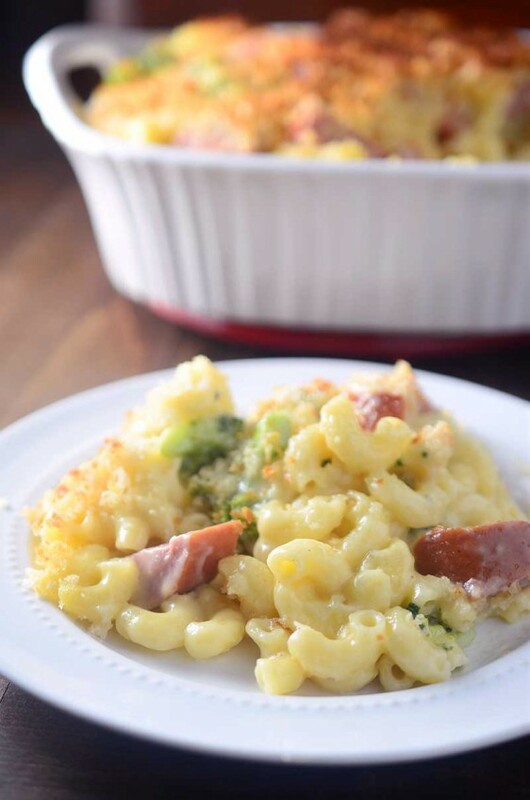 Bake in preheated oven for 35 - 40 minutes or until casserole is browned and cooked through. Cool several minutes and serve. 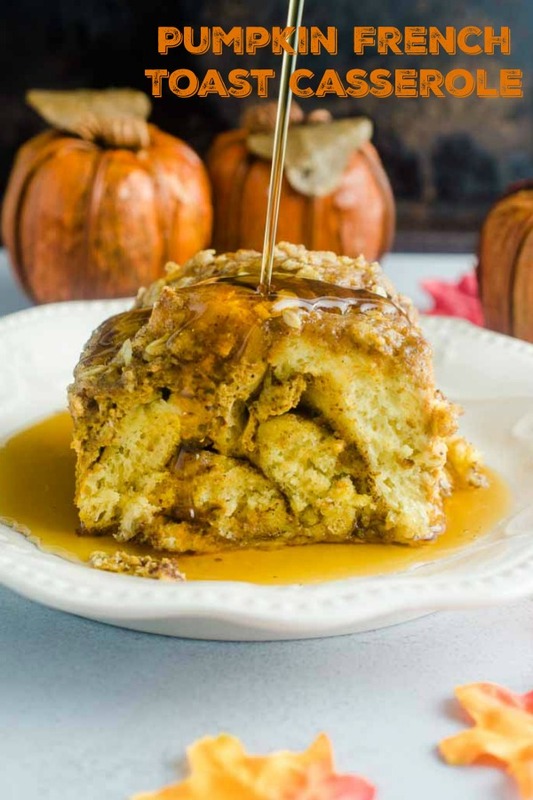 This is a great Fall breakfast option! What a fantastic way to start the day!! This looks SO good!! This is a great way to start my day! 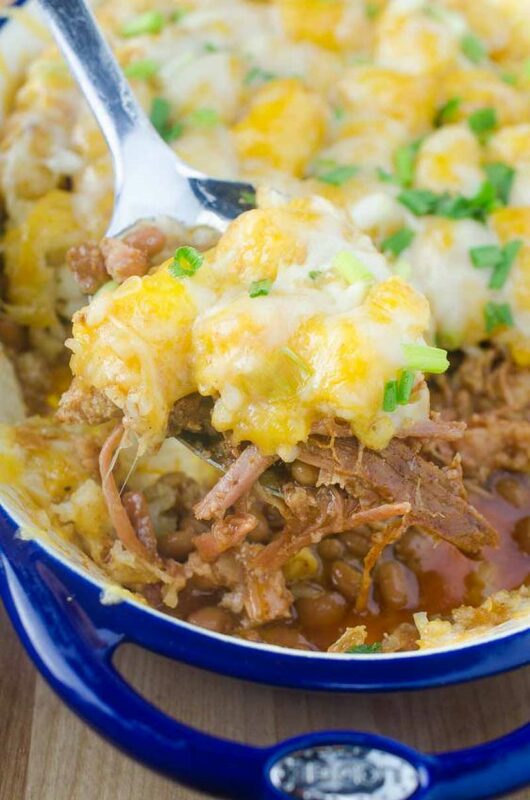 This casserole is perfect for my breakfast. 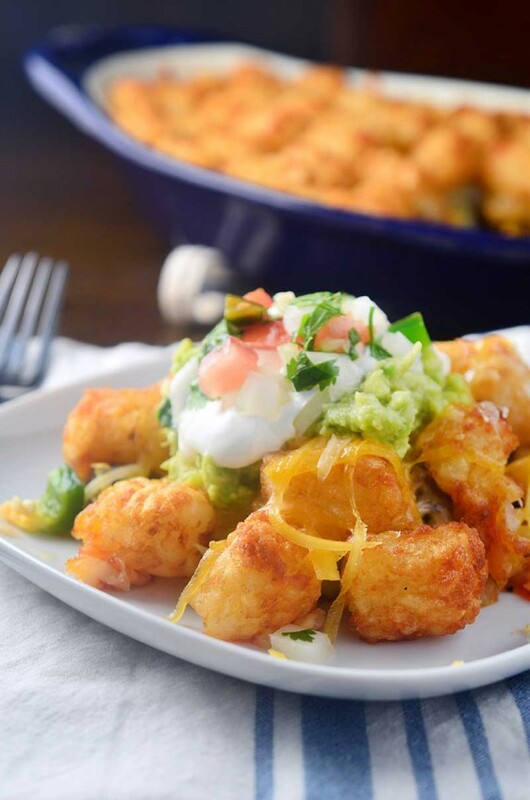 I think that my husband and my children will be delighted with this recipe. Looks very nice and tasty! All I want to do is wake up to this deliciousness tomorrow morning! I love the crumb topping!